AUGUSTA -- A man sought by New York City police on a murder charge is a suspect in a Wednesday vehicle theft in Augusta. AUGUSTA — A man sought by New York City police on a murder charge is a suspect in a Wednesday vehicle theft in Augusta after a father and daughter unwittingly gave him a ride to Maine. Deputy Police Chief Jared Mills said that Raymond Mayrant, 25, of New York City, who New York police seek in a fatal shooting, is also suspected of stealing a Nissan Altima from the area of Sewall and Blaisdell streets. The Associated Press reported that the father and daughter, who’d been visiting family in the New York area, apparently met Mayrant while he was asking for directions in Connecticut, gave him a lift to Maine in their car and invited him into their home for a meal before dropping him off at Motel 6, police Sgt. Richard Dubois said. The next morning, the pair discovered the car was gone. Mayrant is accused of shooting his girlfriend and her mother on Jan. 3 during an argument, police said. The mother, Elzina Brown, died, becoming New York’s first homicide victim of 2013. Mills said by email police found out Mayrant was wanted in New York on homicide charges when police were investigating the stolen car. Myrant reportedly asked at Motel 6 if he needed a passport to get into Canada, AP reported. Mayrant is described as a black male, 5 feet, 9 inches tall, weighing about 200 pounds. He may be operating a 1998, four-door black Nissan Altima with license plate PC 3883TK. Thursday afternoon, Mayrant was reportedly spotted on Wilson Street in Brewer, headed east. 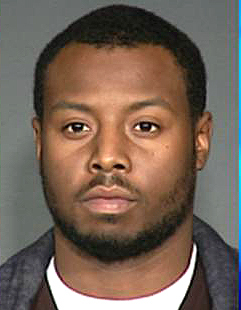 Police in New York said Mayrant shot his girlfriend and her mother during an argument on Jan. 3. The mother, 59-year-old Elzina Brown, died at the scene. It was the city’s first homicide of the year, AP reported.